On behalf of all members of the Japan Society for Endoscopic Surgery, I am delighted to welcome all the delegates to Kyoto for the 30th Annual Meeting of the Japan Society for Endoscopic Surgery, schedule to be held at the Kyoto International Conference Center from December 7 (Thu) to 9 (Sat), 2017. Thirty years ago, we could not even imagine the evolution and penetration of endoscopic surgery with the development of optical systems and various energy devices, as well as the emergence of robotic surgery. What will surgery look like in the next 30 years? To what extent will robotic surgery with ever-evolving AI involve or replace surgery done by humans? Will “Skill (art)” training become obsolete? Perhaps a completely different training process from that of the present may appear. On the other hand, the “Heart (compassion for patients),” the basics of medical science, will remain unchanged. There must be a harmony between evolving “Skills (art)” and “Heart,” the origin of medical science. We are planning for this annual meeting to look back on the history of endoscopic surgery pioneered by our forerunners and reflect on accelerated changes. We sincerely hope you join us to celebrate the 30th anniversary of the Japan Society for Endoscopic Surgery. In Kyoto, there are lighting events for autumn colored leaves at tourist attractions in early December. Though it may not be easy to secure accommodation, we are preparing to welcome the participation of as many members as possible. Look forward to welcoming you in Kyoto in December 2017! Even though a few RCTs could not demonstrate its non-inferiority to open surgery, lap-rectal surgery has been accepted worldwide. Not only robotic surgery but also TaTME are now of keen interest to colorectal surgeons. In this session, distinguished surgeons will demonstrate how to perform or manage the difficult cases of colorectal diseases with the modern technologies. We can enjoy their fantastic approaches and amazing techniques, and learn several knacks in order to overcome difficult cases. There is a big debate regarding training programs of endoscopic surgery. We have several training setups: training box, simulators, hands-on with animals or cadavers, video clips, on the job etc. Another important issue is how to evaluate these training programs. In this session, training programs including evaluation will be introduced from USA, Poland, Thailand, Hong Kong and Japan. We can share the current status and perspectives of surgical training in the world. Minimal invasive approach for esophageal squamous cell carcinoma has become one of the standard treatments. Initially, thoracoscopic approach with the left decubitus position was the only choice. Then, thoracoscopic approach with the prone position has become prevalent. Recently, mediastinoscopic approach is emerging and extending its indication from palliative settings to definitive treatment. In this symposium, adequate mediastinal lymphadenectomy is to be discussed from each type of approach. Hopefully, the discussion will be helpful for all surgeons to obtain common understanding of lymphadenectomy from diverse perspectives. There is little evidence regarding laparoscopic gastrectomy (LG) for advanced gastric cancer (AGC) at present. Currently, several randomized controlled trials (RCTs) are being conducted in japan, Korea, and China, to verify oncologic safety of LG for AGC. Therefore, the results of these RCTs are strongly awaited. 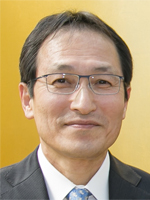 In this symposium, Dr. Hyung-Ho Kim (Seoul National Bundang Hospital) will give a key note lecture and the presenters will demonstrate their procedures of LG for AGC, especially those of radical lymphadenectomy. Through this session, the participants can learn reasonable, meticulous and safe techniques of LG for AGC, as well as those knacks and pitfalls. New era of robotic gastrectomy：How should we deal with it? In Japan, robotic gastrectomy (RG) for cStage I/II gastric cancer was approved as “Advanced medical care B” by the Ministry of Health, Labour and Welfare in 2014. After that, the number of RG cases has been increasing. In this workshop, Dr. Hyung (Yonsei University), who has performed more than 1,000 RGs from 2005, will give a key note lecture about the recent progress of RG. Four presenters whose institutions are participating in the multicenter, prospective clinical trial will present their experience of introduction, application, and practice of RG. Through this session, the participants can learn a lot about how we should deal with RG hereafter. TaTME/TpTME has been rapidly adopted as one of the surgical modalities for lower rectal cancers. Distinguished experts will present the history of the procedure, indications, surgical landmarks, instruments, education and training, and perspectives regarding the new procedures. We can learn several pits and knacks to perform the procedures with safety. Although total proctocolectomy is a standardized operation for UC and FAP, there are several procedures: conventional lap, hand-assisted, reduced or single port, combination with TaTME, etc. These procedures will be presented together with the current status in USA as well as Japan. We can learn how to prevent the postoperative complications, in addition to advantages and disadvantages of the procedures above. While Japanese thoracic surgeons have been leading the field of minimally invasive surgery, surgeons in Asia have recently shown remarkable progress in techniques and are exploring new frontiers in this particular field. In this session, we have invited up-and-coming guest speakers from China to share their expertise, and expect enthusiastic discussions with Japanese surgeons on the latest in thoracoscopic surgery. Obesity and associated type 2 diabetes mellitus (T2DM) are becoming a serious medical issue worldwide. Bariatric surgery has been shown to be the most effective and durable therapy for the treatment of morbid obese patients. Increasing data indicates bariatric surgery as metabolic surgery is an effective and novel therapy for not well controlled obese T2DM patients. The most recent guideline of American Diabetes Association indicates that metabolic surgery is one of the most effective treatment modalities for obese T2DM patients. The review of recent developments in bariatric/metabolic surgery covers 4 major fields. 1) Improvement of safety and evidence of efficacy, 2) New bariatric/metabolic surgical procedures, 3) Mechanism of bariatric/metabolic surgery, 4) Patient selection. Number of bariatric and metabolic surgery is rapidly increasing in Asia because of above four developments and the progress in Japan is also expected in the future. The purpose of this session is to clarify the recent achievement and future perspectives of bariatric and metabolic surgery from the view point of above four developments and the problems in Japan by leading surgeons of the field, not only in Japan but also in Asia. Copyright © The 30th Annual Meeting of the Japan Society for Endoscopic Surgery.